While the growing scandals of government invasion of privacy do not rise to the level of China and massacres like Tienanmen Square the president has surely done a lot of damage to America's credibility on human rights. The timing as far as China is concerned, couldn't be better. U.S. President Barack Obama’s meeting with the Chinese counterpart Xi Jinping this weekend is likely to be impacted in more ways than one by yesterday’s revelation that the U.S. National Security Agency (NSA) is collecting private information on individuals from major Internet companies. Just as Obama prepares to meet with Xi to discuss issues such as cyber-security and civil liberties, it has emerged that the US government ordered the widespread collection of private information and may also have sanctioned hacking of internet companies’ private data. President Obama is meeting with Chinese officials shortly, those meetings are now likely to be less productive for obvious reasons, on two fronts. Firstly, the hacking issue will be pushed back because the U.S. federal government is going places with private data in a similar way to what they claim China is doing. China when confronted with allegations of internet spying have a hammer for a reply as a result of this scandal. And trying to get China to treat its people properly needs to be shelved for a while now; America is no position to lecture about human rights at this point. 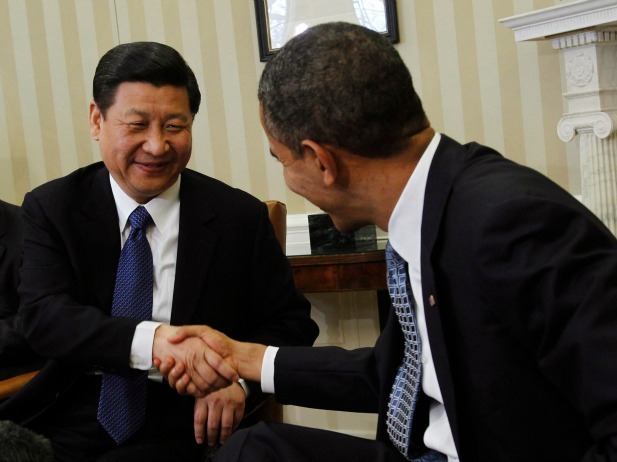 China can plead U.S. hypocrisy on both issues. So the president's visit to China is likely to prove pointless except as an escape for the president from a (finally) hounding press.